Orpheus Chamber Orchestra creates extraordinary musical experiences that enrich lives and empower individuals through collaboration, innovation, education and a passion for artistic excellence. 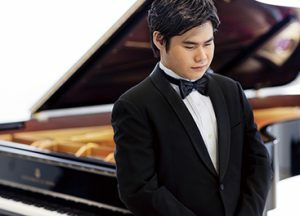 We are thrilled that Orpheus and the beloved Japanese pianist Nobuyuki Tsujii will open our season with a vibrant new orchestration of Chopin’s Second Piano Concerto by composer Shuying Li. This program of Gentle Giants also explores the spiritual ecstasy of Arvo Pärt and the sensitive artistry of Tchaikovsky, using creative re-orchestrations that amplify the ardent emotions. *NOW HEAR THIS! These works are part of Now Hear This, a new Orpheus initiative dedicated to re-imagining musical gems from the past with new orchestration.